introduced it to the campers. Hope you enjoy your spider sniffing days. 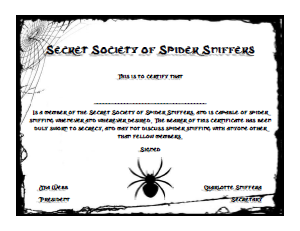 Click here for my printable certificate. Directions: This is a daily activity. The first night, have the girls choose 3 colors they think represent camp the best. Cut each camper a long (but equal) piece of each color. Have them create a small section of the bracelet each day while discussing camp. They are essentially weaving camp into the bracelet. Lesson: Finding good in others. 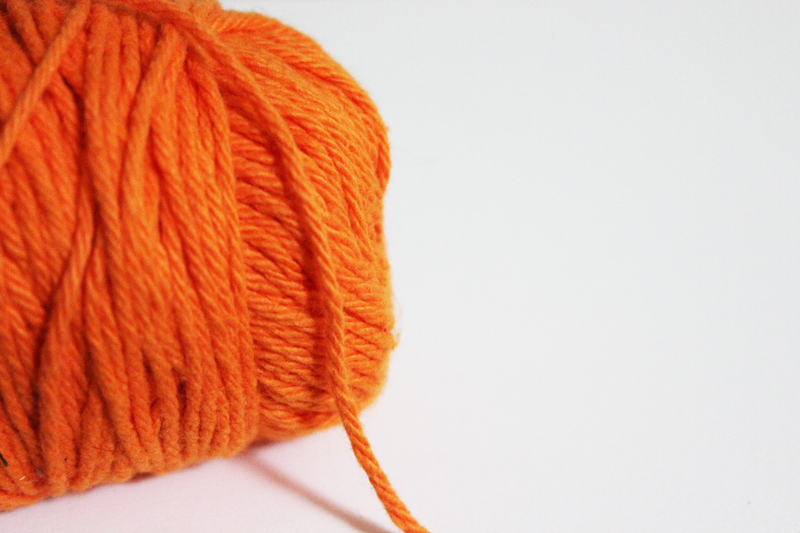 Need: One ball of yarn (make sure there is enough). Directions: Sit everyone in a circle, yourself included. Starting with yourself, stay something nice about one camper and then throw the ball of yarn to them while holding onto the loose end of the yarn. Have them do the same and continue until everyone has been chosen and the yarn is thrown back to the beginning. Discuss how we are all connected. Optional: Discuss rumors. Have one person wiggle the piece they hold and watch how many people it affects. to me. I thought they were very 'me', crazy! Here is my most worn name necklace. Of all the other necklaces and name tags through the years, this one has stuck with me the most. Do you have a favorite too? You can see his facebook page to get the address to send to. Will you be sending some? Directions: Pass out one paper per camper. Have the campers fill in the sentence I NEED ____. Write this sentence on one side of the paper. Have the campers decorate it if they like. Discuss what they chose. On the other side of the paper, fill in I DO NOT NEED ____. Discuss what they chose. At the end, each paper can be pinned up above each camper's bed (or in a central location) with the NEED side out to remind them of the discussion. Food, Rest, Shelter, Creation, Creativity, Expression, Inspiration, Affection, Companionship, Friends, Intimacy, Kindness, To Matter, Touch, Play, Fun, Justice, Fairness, Accomplishment, Celebration, Adventure, Space, Trust, Safety, Clarity, Completion, Dignity, Learning, Privacy, Respect, Support, Choices, Solitude, Acceptance, Belonging. Tie dying is so much fun! Have you ever tried it? 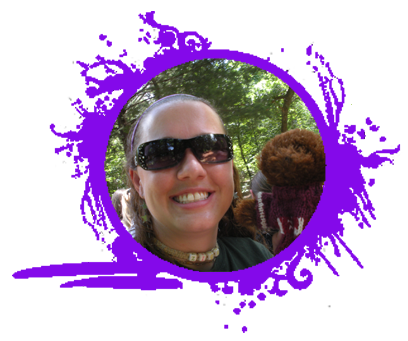 A few summers ago at camp I was a 'tie dye' specialist and taught it to all the girls every week all summer long. Since then I've wanted something that I could print and put in my binder to have an easy refresher and something I can copy and pass out when needed. 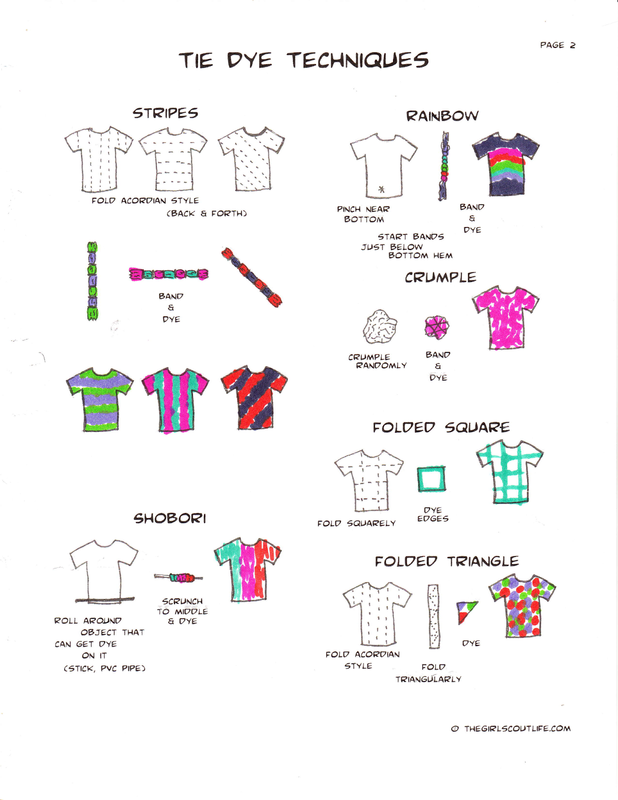 Shirts, shorts, pants, socks, underwear, sheets, pillow cases, towels, wash cloths, bags, scarves, bandannas, yarn, hats, skirts, dresses, shoes, tights, banners, flags, stuffed animals, ties, pet beds, table cloths, place mats, Christmas stockings, aprons, blankets, doll clothes, hair accessories. Write/draw with gel glue, let dry, dip in (one color of) dye, wash and wear. Get a backwards tie dye look by using bleach on colored shirts. Draw on a shirt with sharpies and use a spray bottle of rubbing alcohol to spread. To create a shape (such as a heart), lightly sketch the shape with a pencil on the fabric. Gather the fabric along the shape and rubber band. Continue to rubber band down the fabric (like you would for a bullseye). o You can also sew a bit of thread loosely through the shape, and once done, pull tight to group the fabric. Continue to rubber band as usual (including over the thread). Use extra plastic, lots of extra plastic. Read all of the directions before starting. Each brand/kit is different. When dying, look for white spots between the folds. Your shirt may be too white if these are overlooked. The tighter the rubber bands, the whiter the spots. If you don’t want any white, loosen rubber bands. Rinse out with the rubber bands on, at first, to keep the white spots whiter. Rinse out until the water turns clear, then rinse a bit more. Vinegar/soda ash may help the color set depending on what brand of dye you are using. Check instructions to see if this is needed. Apply light colors first. This will help keep darker colors from bleeding over later. Have a tie dye party! Have everyone wear their tie dye on the same day. My favorite thing to do is to stencil my name on the back of my shirt. 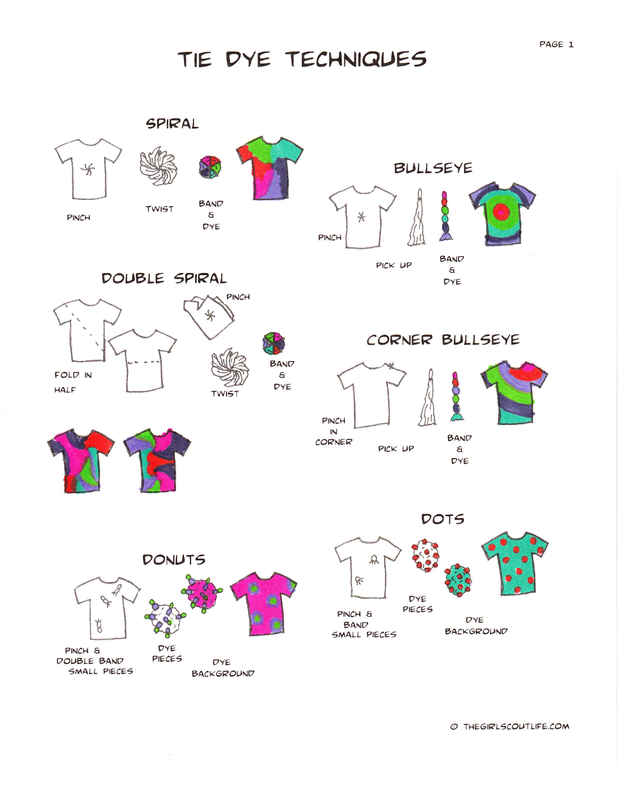 Click here to find my tie dye techniques and tips printable pages.